Orozyme Canine Chews clean the teeth and promote an overall good condition for the teeth and gums. Orozyme Canine enzymatic chews contain collagen, which stimulates the natural chewing behaviour in dogs. By chewing, the formation of plaque and bad breath is drastically reduced. Orozyme Canine Chews also soothe irritated gums. You can use the chews as treats for your dog. The chews should be given every evening after meals. 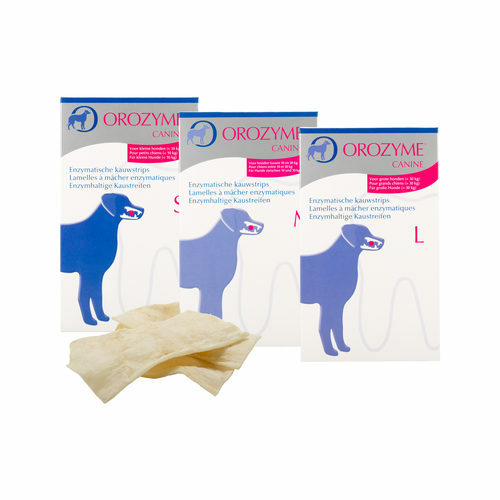 Have you used Orozyme Canine Chews before? Let us know what you think about this product.